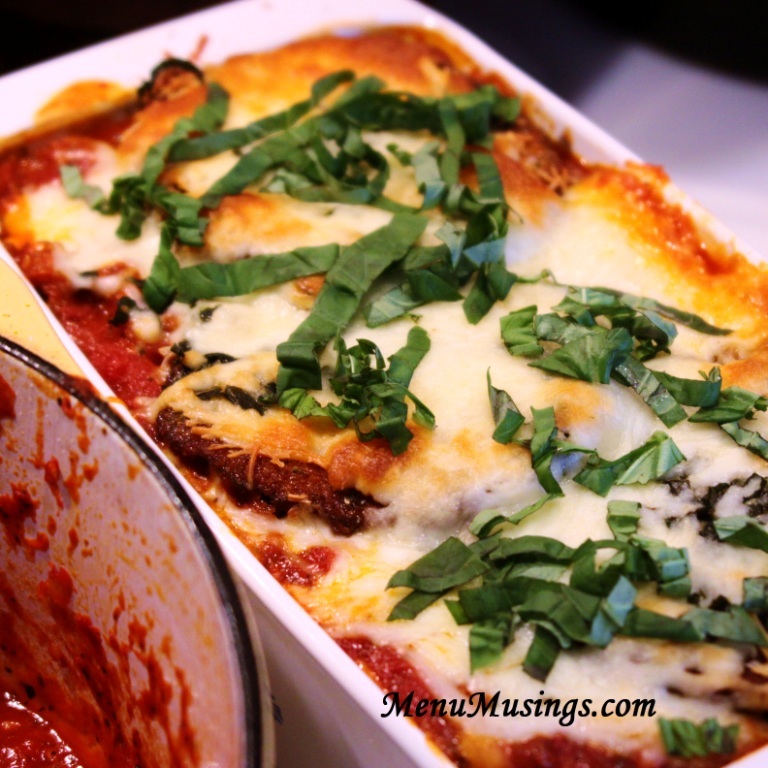 So, for Italian night... you might be thinking of the same tomato-based lasagna that you've always had. 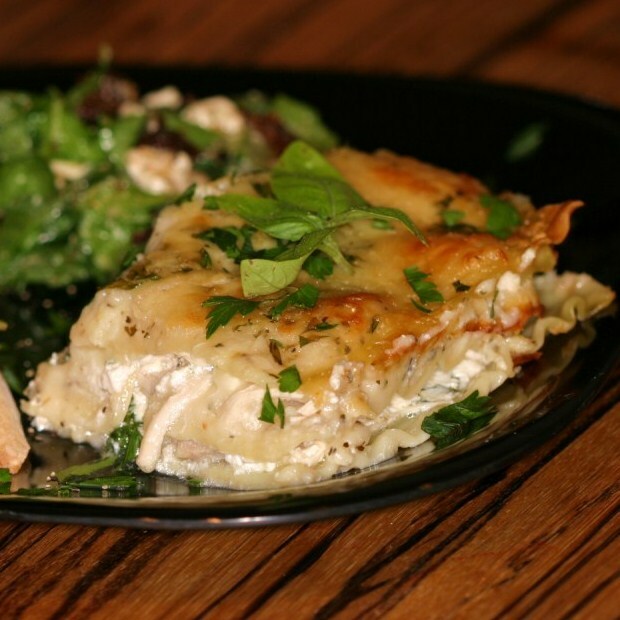 Or....you could just be feeling like something a little more "out of the box" like this creamy, cheesy white lasagna - stuffed full of tender chicken pieces, a white wine bechamel sauce, and enough mozzarella, ricotta and Parmesan cheeses to satisfy your fetish. Yep. That's what I thought, too. 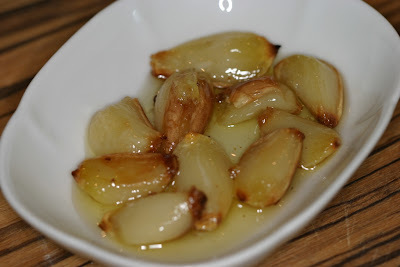 You can certainly just saute the garlic with the onions, but I chose to roast the garlic because it gets so soft, buttery and sweet and has a totally delicious flavor. 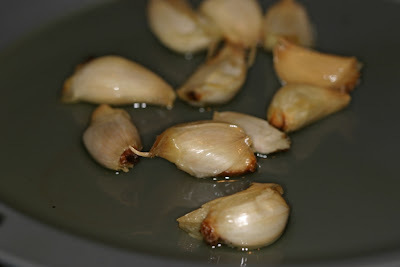 Remove the garlic cloves from the bulb, but do not peel them. Place cloves on cookie sheet that has a light olive oil coating. 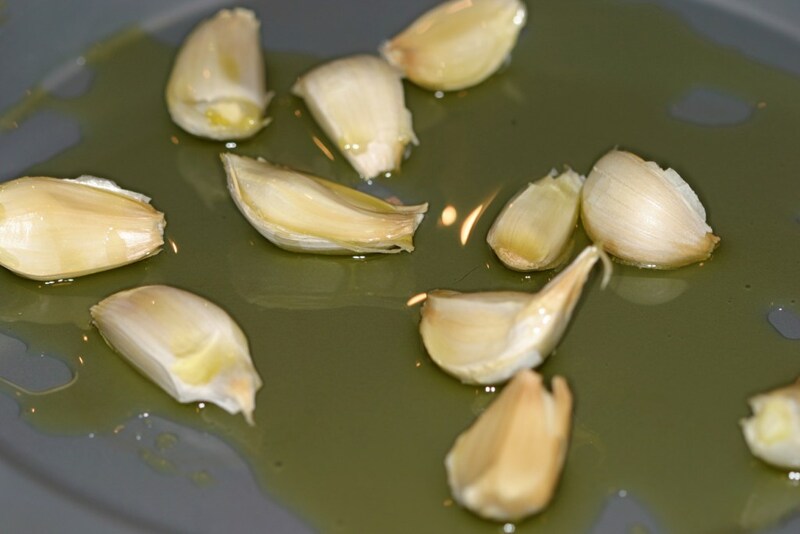 Lightly coat garlic cloves in olive oil. Roast for 15 minutes or until garlic is soft. Allow garlic to cool and remove the skins. * This may seem like an awful lot of garlic... but it's much milder and sweeter once it has been roasted. You have to trust me on this! Remove the garlic cloves from the head but do not peel them. Place them in a cookie sheet sheet or cake pan and lightly coat them with olive oil. Roast them for about 15 minutes until the garlic is soft. Allow the garlic to cool, then remove the skins. The Plan. De-stem about a bag (1 lb) of fresh baby spinach. Saute it briefly in about 1 Tbsp extra virgin olive oil until it is wilted down and tender but still bright green. Okay. So it was my INTENT to de-stem them... but had multiple things going on and just dumped them into the pan. Remove both the dark and white meat from a rotisserie chicken and chop into pieces. The size is up to you. I wanted to use the dark meat as well as the white meat to add a richer flavor and because it's also not quite as dry. 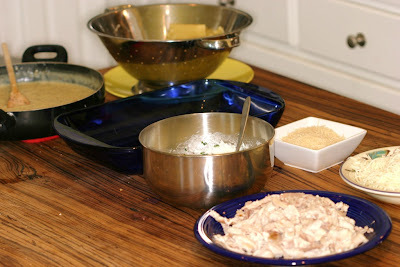 Pour any of the pan drippings that are in the bottom of the container over the chopped meat and cover until ready to layer. 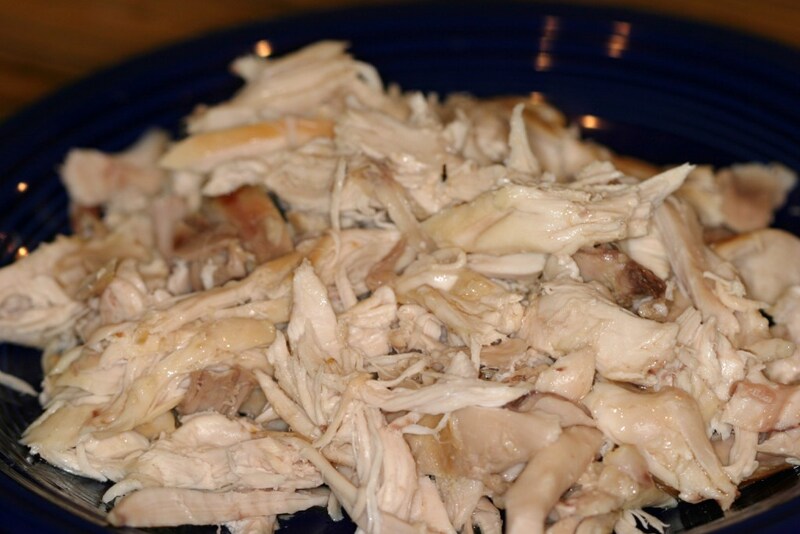 You could definitely use any type of cooked chicken here, but seriously, the rotisserie chicken from the local supermarket is inexpensive, juicy, and flavorful...and a total time saver! 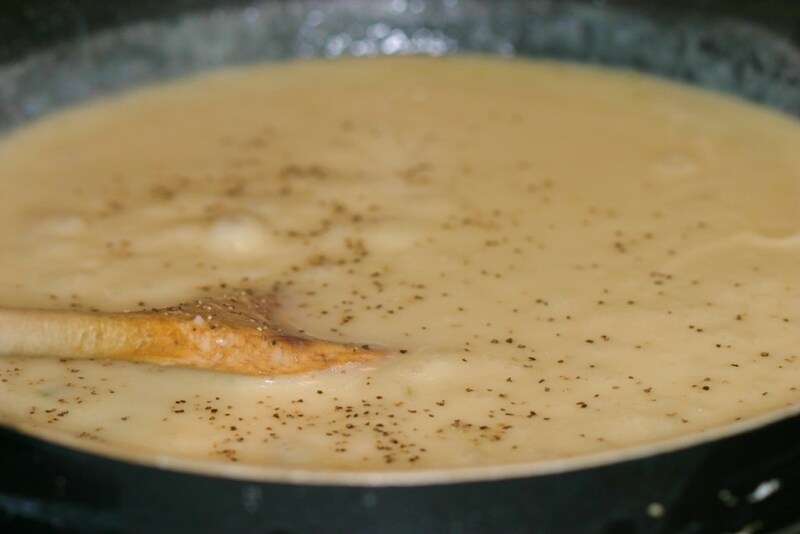 Melt a couple of tablespoons of butter in a large saucepan over medium heat. Cook the onion (and garlic if using raw garlic) in the butter until tender, stirring frequently. Mix in the broth, wine, milk, and some black pepper and boil, stirring constantly for a couple of minutes. If using roasted garlic, chop (smash) it up fine and add it now. Stir in 2 cups of mozzarella cheese and 1/2 cup Parmesan cheese. 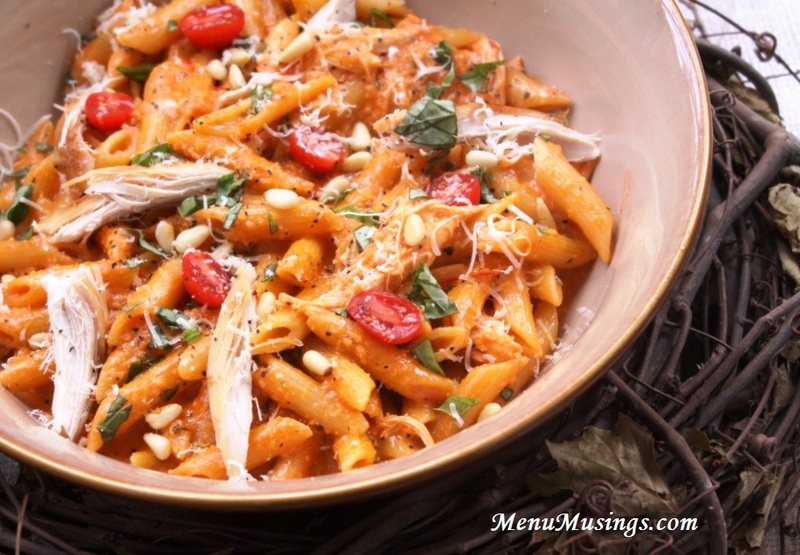 Season with basil, oregano, and more pepper and salt if you think it needs it. 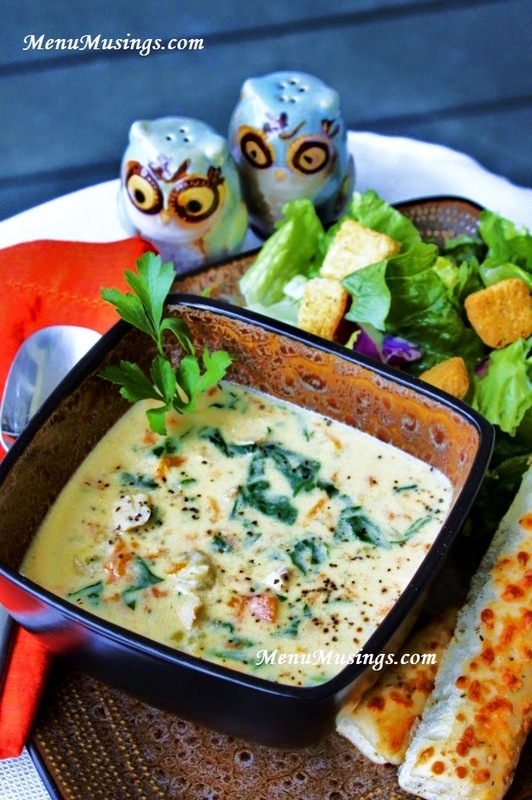 Melt 2 Tbsp butter in a large saucepan over medium heat. Cook 1 chopped onion (and garlic if using raw garlic) in the butter until tender, stirring frequently. 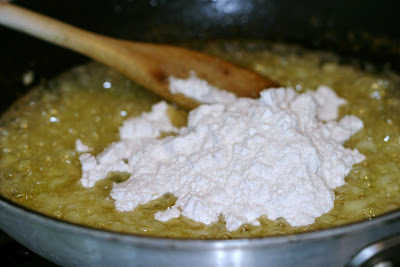 Stir in the 1/2 cup flour and 1+ tsp salt, and simmer until bubbly. 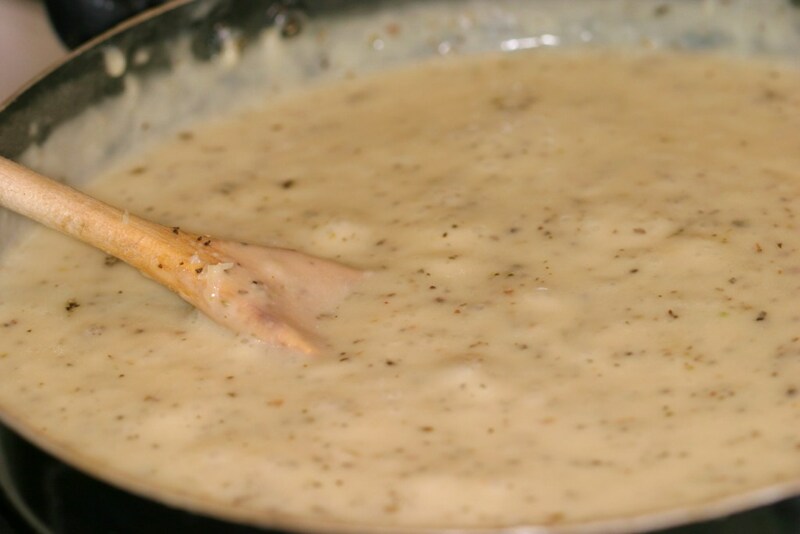 Mix in the 2 cups broth, 1/2 cup wine, 2 cups milk, and 1/2 tsp black pepper and boil, stirring constantly for a couple of minutes. 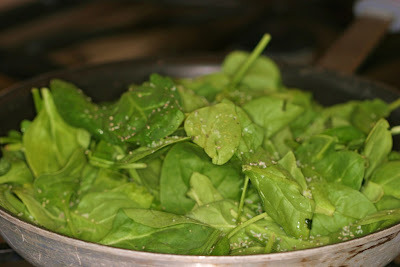 Season with 1 tsp basil, 1 tsp oregano, and more pepper and salt if you think it needs it. Remove from heat and set aside. 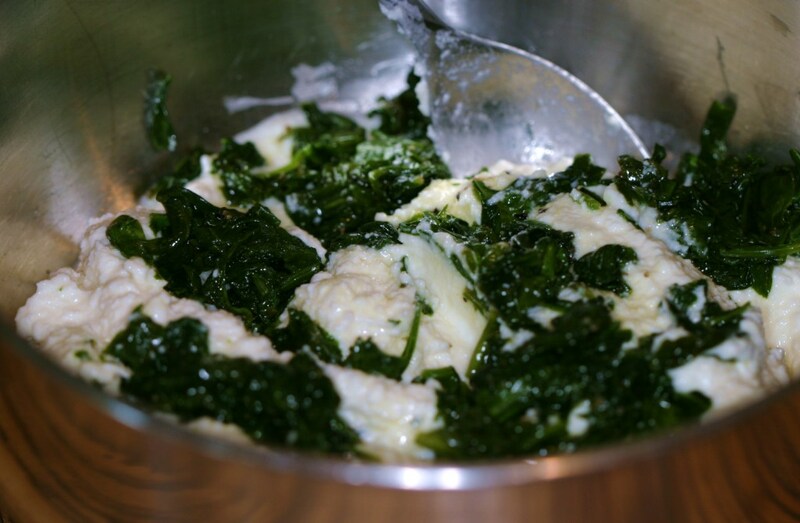 Mix the ricotta and drained spinach with a little salt and pepper. 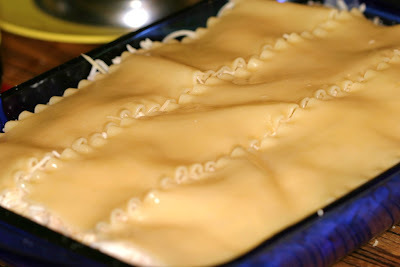 Boil the lasagna noodles in a large pot according to directions (about 9 minutes). Drain and rinse in cold water so they won't stick together. 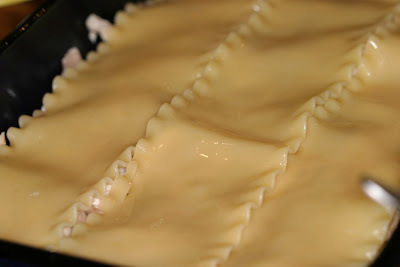 I always make more noodles than I need because some always end up splitting or tearing. First spread 1/3 of the sauce in the bottom of a 9x13 inch baking dish. 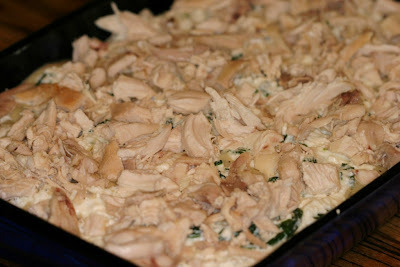 Layer with 1/3 of the noodles, half the ricotta/spinach mixture, and half of the chicken. Again add 1/3 of the noodles, 1/3 sauce, remaining ricotta/spinach, remaining chicken, and half of remaining mozzarella and Parmesan. 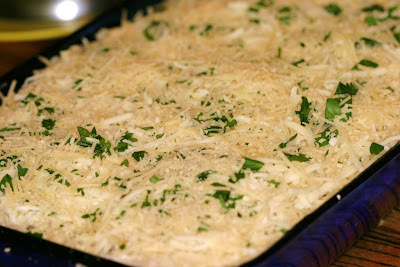 Layer final layer of noodles, remaining sauce, remaining mozzarella, chopped parsley and remaining Parmesan cheese. 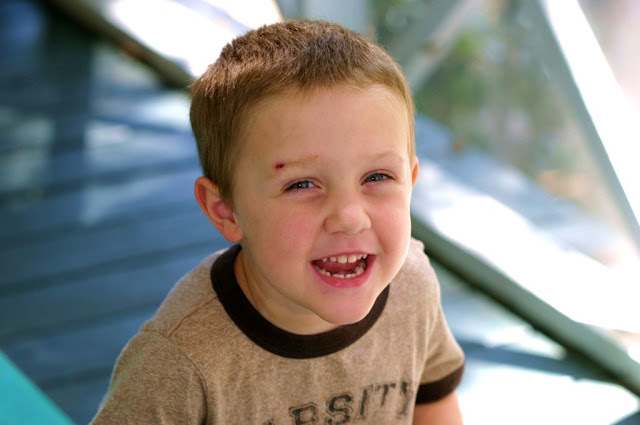 Well if your house is like OUR house, you will be dragged out of the house to go swing, jump on the trampoline, play in the dirt, or any manner of things. 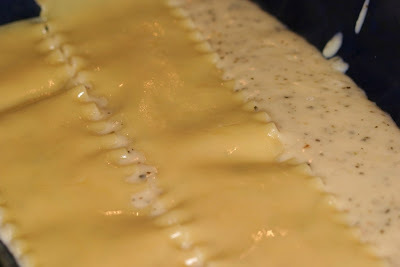 SOoooo.... you can pop it in the oven now, or cover and put in the fridge for the evening, or cover well and freeze for some other time. As for today, a hummingbird has managed to get into our screened in back porch and can't find his way out. So this is the curiosity of the hour. Bake at 350 degrees for 40-45 minutes. Let it rest for about 10 minutes. Otherwise, you know how the story will end. 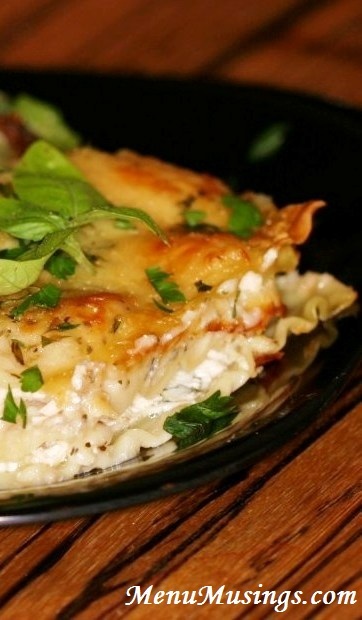 You'll take out a piece and the cheese will run all over the place. 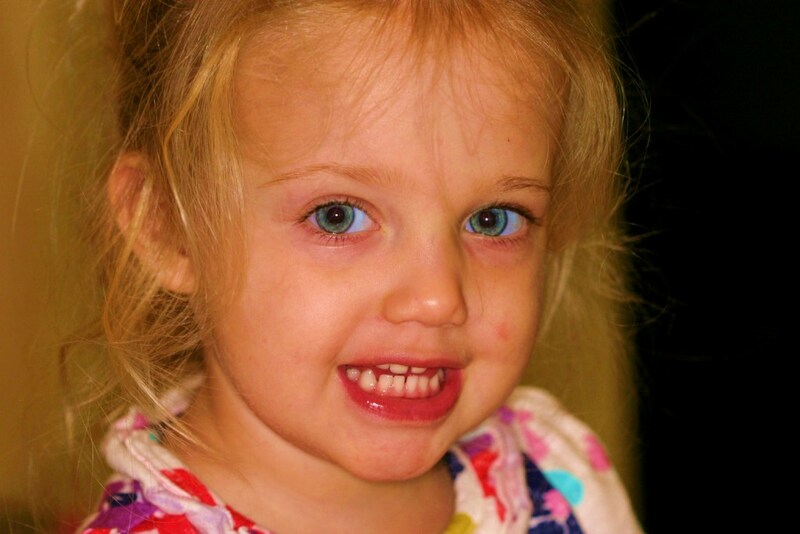 That's just not cute. 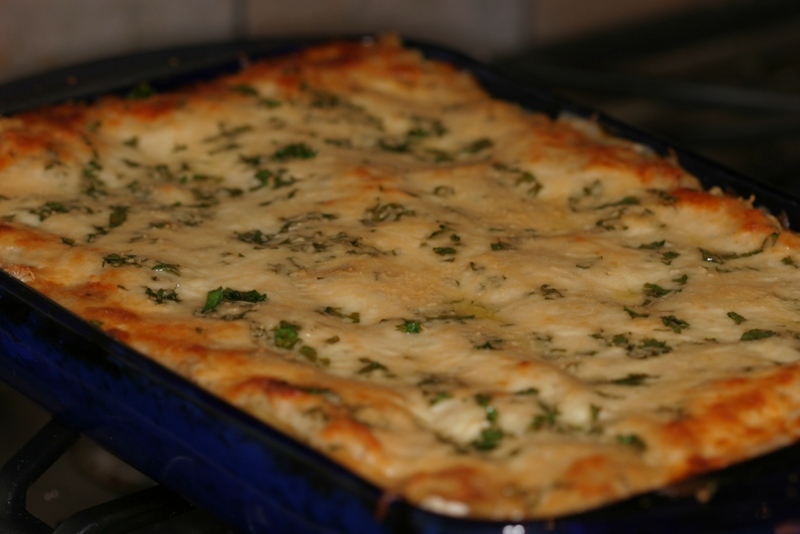 Béchamel sauce, also known as white sauce, is one of the mother sauces of French cuisine and is also used in many recipes of Italian cuisine, such as this lasagna. 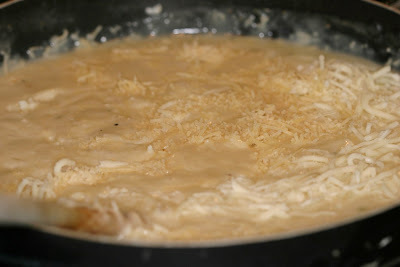 It is used as the base for other sauces (such as Mornay sauce, which is Béchamel with cheese). According to Larousse Gastronomique, the sauce is named after the "marquis de Béchamel" (1630–1703). Béchameil was a financier who held the honorary post of chief steward to Louis XIV. 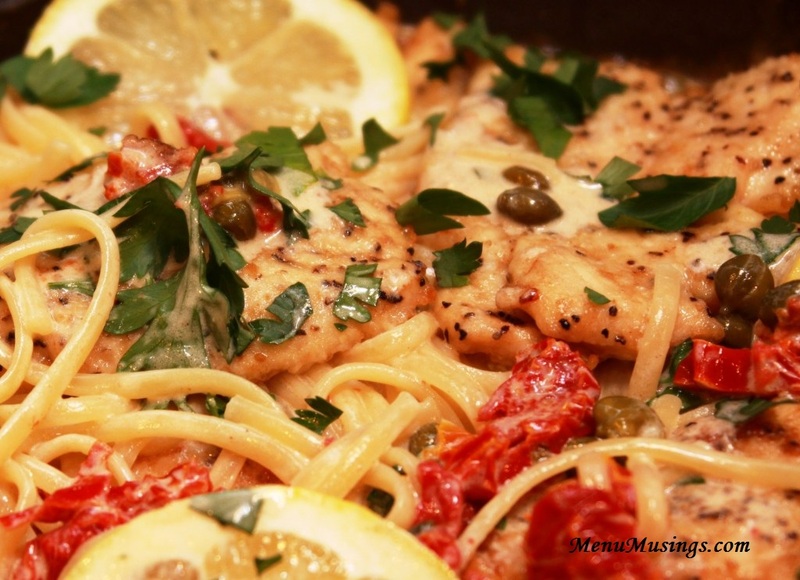 Please stop by my Recipe Index for many more Italian favorites and tons of dinner ideas for your family! Roasted Garlic Prep: Preheat the oven to 400 degrees. 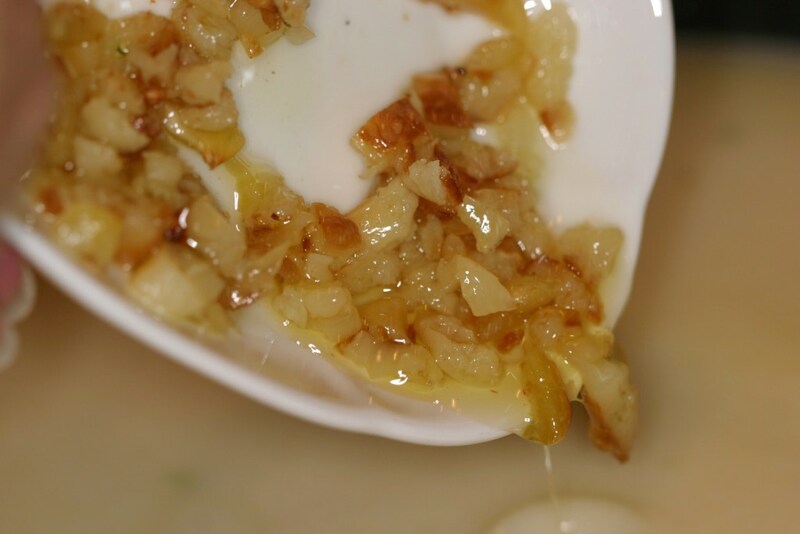 Remove the garlic cloves from the bulb, but do not peel them. Place cloves on cookie sheet that has a light olive oil coating. Lightly coat garlic cloves in olive oil. Roast for 15 minutes or until garlic is soft. Allow garlic to cool and remove the skins. De-stem about a bag (1 lb) of fresh baby spinach. 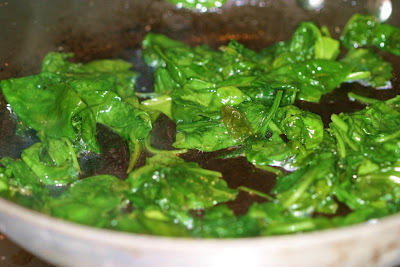 Saute it briefly in about 1 Tbsp extra virgin olive oil until it is wilted down and tender but still bright green. 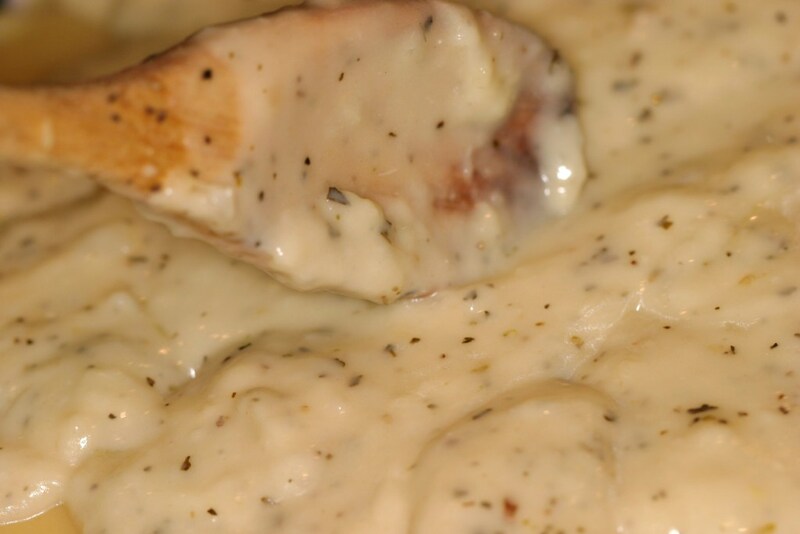 Remove both the dark and white meat from a rotisserie chicken and chop into pieces. 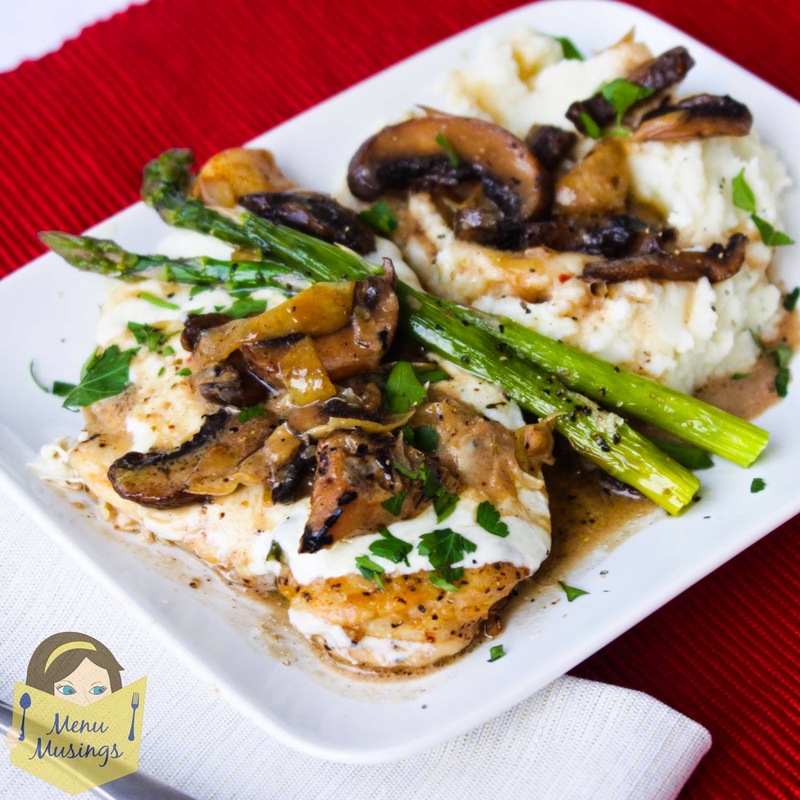 I wanted to use the dark as well as white meat to add a richer flavor and because it's also not quite as dry. Pour any of the pan drippings that are in the bottom of the container over the chopped meat and cover until ready to layer. 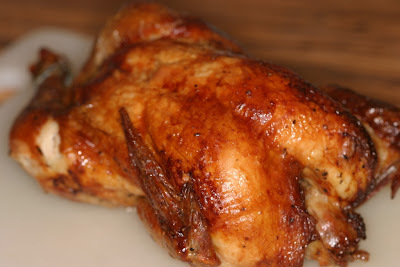 You could definitely use any type of cooked chicken here, but seriously, the rotisserie chicken from the local supermarket is inexpensive, juicy, and flavorful...and a total time saver! 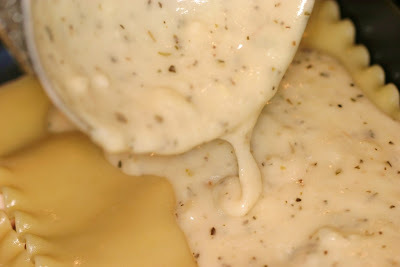 Béchamel sauce: Melt a couple of tablespoons of butter in a large saucepan over medium heat. 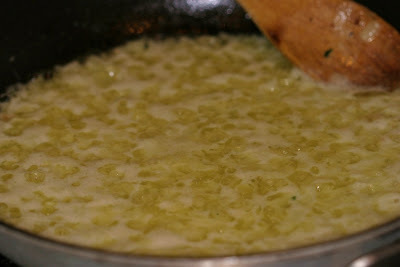 Cook the onion (and garlic if using raw garlic) in the butter until tender, stirring frequently. Stir in the flour and salt, and simmer until bubbly. Mix in the broth, wine, milk, and some black pepper and boil, stirring constantly for a couple of minutes. If using roasted garlic, chop (smash) it up fine and add it now. 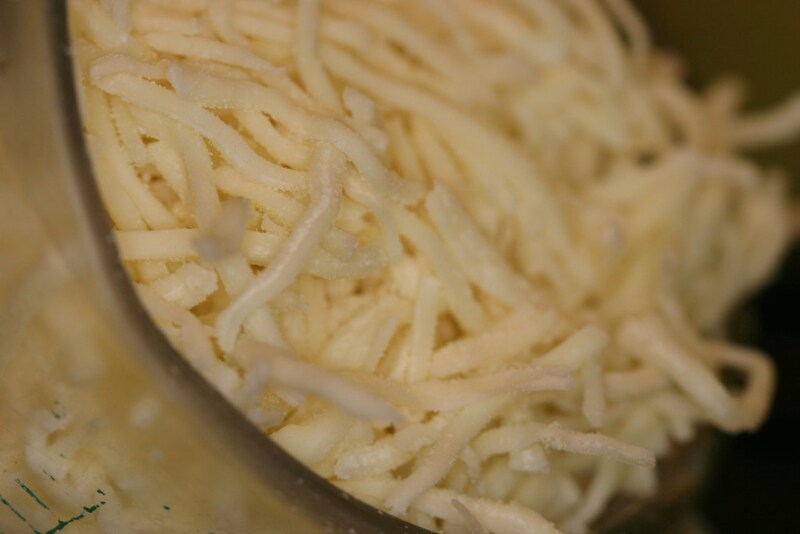 Stir in 2 cups of mozzarella cheese and 1/2 cup Parmesan cheese. Season with basil, oregano, and more pepper and salt if you think it needs it. Additional Prep. 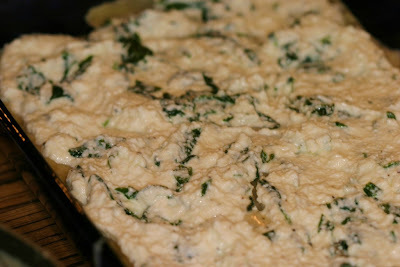 Mix the 3 cups ricotta and drained spinach. Add a little salt and pepper. 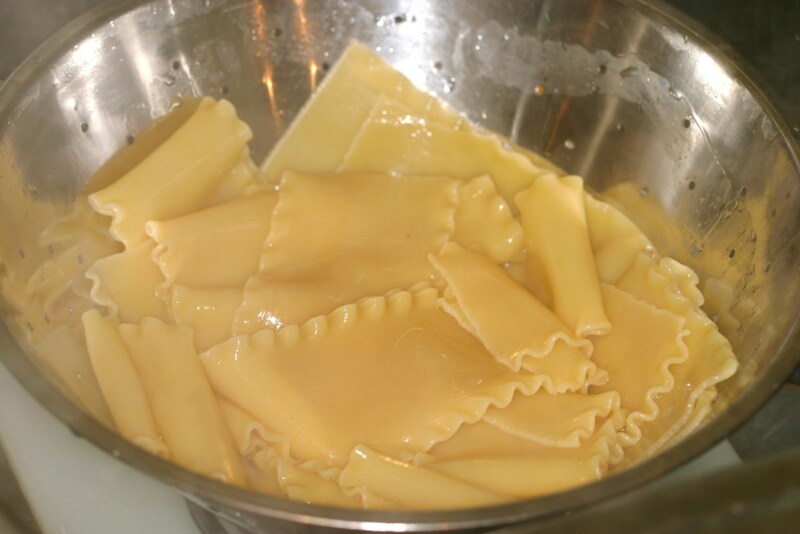 Boil the lasagna noodles in a large pot according to directions (about 9 minutes). Drain and rinse with cold water so they won't stick together. I always make more noodles than I need because some always split or tear. Assembly: Spread 1/3 of the sauce in the bottom of a 9x13 inch baking dish. 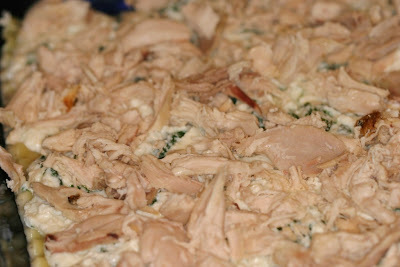 Layer 1: Layer with 1/3 of the noodles, half the ricotta/spinach mixture, and half of the chicken. 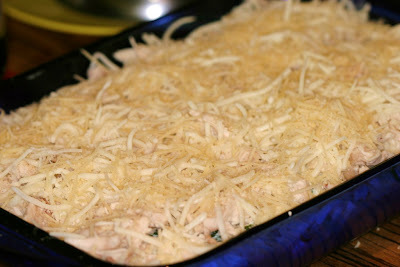 Layer 2: Again add 1/3 of the noodles, 1/3 sauce, remaining ricotta/spinach, remaining chicken, and half of remaining mozzarella and Parmesan. Layer 3: Layer final layer of noodles, remaining sauce, remaining mozzarella, chopped parsley and remaining Parmesan cheese. Bake at 350 degrees F for 40-45 minutes. Let it rest for at least 10 minutes. Otherwise, you know how the story will end. 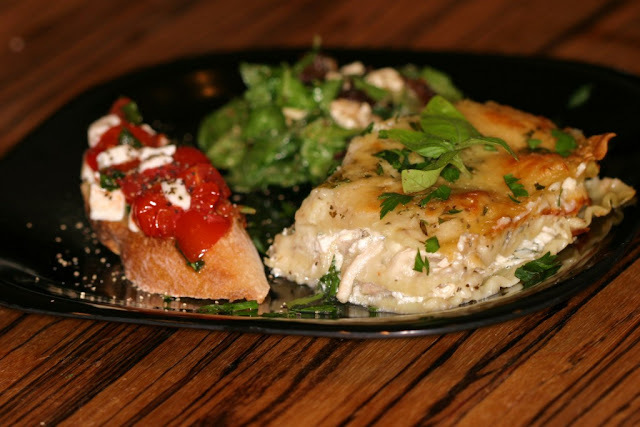 You'll take out a piece and the cheese will run all over the place. And that's just not cute.